The washing machine with integrated tumble dryer is at your disposal for €4 per wash.
Pluses: Delightful small town with excellent buses or trains to Heidelburg and other towns; close to the river for walking and the boat dock. Comfy living room & good quality wine glasses. Negatives: 3 keys are required to exit the apartment-one of them an 18th century skeleton key which was difficult to use. There was no visible smoke detector. The steep entry steps were expected but not narrow treadle steel steps which separate the sleeping area from the middle level. Limited bedroom privacy: to access bedroom 2, one must go through bedroom 1. There were 4 pages of apt info in German but we had a very brief intro to the apt. When radiation & chemo prevented a traveling companion from joining us, I informed the owners. Despite 2 requests no refund of the extra guest fee has been acknowledged or received. This historically significant home was just as we expected. The town and people were quaint and charming. The home retained its' character while also providing updated kitchen and bathroom. We really enjoyed it and the hosts were great to meet. The entry and stairs are steep if that is a problem for you but it is simply part of that era of architecture. Loved it and the neighboring restaurants/bakery. We also visited Dilsberg nearby which was incredible. Very clean and effective. Good atmosphere. Good owners. Nice little town, quiet with good connections to nearby towns including Heidelberg. Nice river cruises that are inexpensive available steps from house. Bus steps from house. Rail not far away. Steps are steep so overweight or handicapped people should ask questions. Restaurants are limited on Sunday and Monday nights and the ones that were open are very busy. However, you can always go to Heidelberg for dinner. 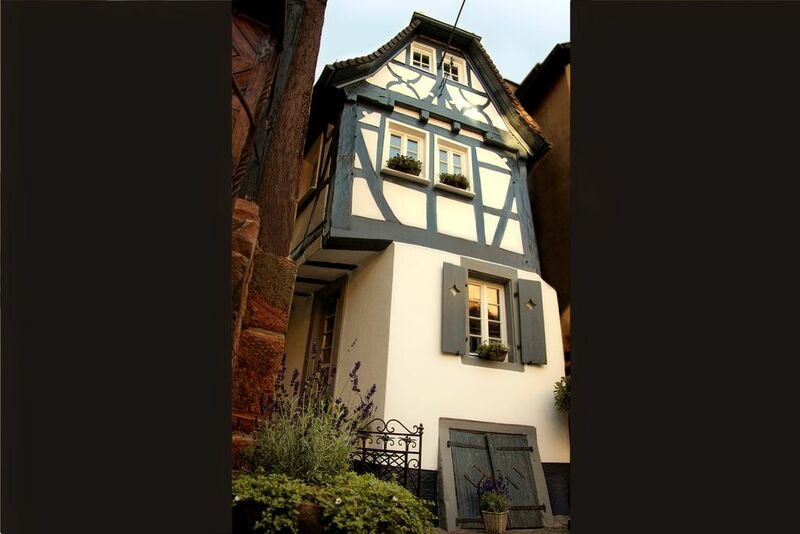 We had two nights in Neckargemund in this very charming apartment. Loads of period features but very well furnished and equipped. We ate in a restaurant around the corner and took the boat to Heidelberg. Parking was no problem. Highly recommended. Lovely property in super little town. Thoroughly enjoyed staying in a historic home with moden amenities. My husband and I stayed at this unique and charming property for three nights. We picked this place because we wanted to experience staying in an old but well- kept building. We were not dissapointed. The interior is a mix of historic and modern fixtures. We enjoyed the setting very much. Neckargemünd is a quaint town not overrun by tourists. Some of the adjacent buildings are undergoing renovation but it did not distract from our experience. Restaurants are nearby and the butcher and baker shops are loacted just across the street. The owners are very friendly and gave us some good suggestions on how to make the most out of our time in the area. We would love to come back another time. Neckargemünd, also known as Heidelberg’s beautiful neighbour, is situated only 10 km from Heidelberg on the romantic Castle Road in the middle of the holiday region Natural Park Neckartal-Odenwald. The town is nestled between mountains covered with deciduous and coniferous forests and the Terrassen-Schwimmbad is one of the region’s prettiest outdoor pools. Neckargemünd’s old town has a history of more than 1000 years. Medieval narrow streets, corners and half-timbered houses are enjoyable for strolls. Bergfeste Dilsberg is especially well known, a castle on a mountain above the Neckar valley which can be seen from a far distance. There is a varied offer of activities available: from a number of excursion possibilities for bikers and hikers to boat and ship trips on the Neckar river. From Neckargemünd, you can discover the Natural Park Neckartal-Odenwald, the Kraichgau hilly region, the Electoral Palatinate and the Castle Road.